Twitter is widely used tool for getting traffic onto websites. It is one of the most popular social networks in the world with 500 million active users as of 2012. So get 1000 followers from this number seems pretty easy at first. Anyway, if you are newbie it can be hard to adapt to this type of social environment. 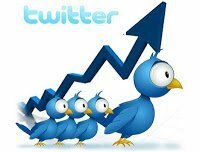 Thus, QArea provides you with some simple tips on how to get your first 1000 Twitter followers. Of course, the first reason motivates users to follow your site is a content. Try to choose your target audience and write for them. Also you should create your profile, add pictures and start tweeting interesting information. You won’t get follower automatically, unless you are ‘big man’ in specific field. So follow people first. How can you find people to follow? Check the big names in your environment; view their followers and who they follow. Usually, before follow someone people check whether provided information by this user is interesting and relevant. Meet new people and join the relevant conversation. Thus you are building reliable connections and these people become familiar with you. There is a strong likelihood that they’ll want to check up your website, and if they are interested, follow it. Using Twitter search you can find people who tweeting about topics relevant to you. Try to engage them, follow them and probably they’ll follow you back. You can put your Twitter profile link on your website or send it out to your mailing list. Thus your existing audience will be aware of your existence and someone who will be interested in your information will add you. Make sure you have Tweet button on your website. Thus, visitors will have opportunity to share your articles with friends spreading the word about you over the network. You can be sure the number of followers will be raised. To attract more people use relevant keywords and #hashtags amplifying your tweeting. And make sure you tweeting about interesting topics. 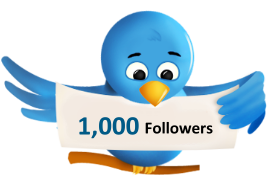 Getting your first 1000 followers is very hard job. You should fling yourself into Twitter and be aware of all the relevant trends and news to be first who tell people about it. We hope our tips will help you to reach desired number of followers, just remember, that the most important is practice. Discover new ways of making people tweet your information.